If you have a loved one who could benefit from senior care, finding the right agency to suit their needs is the first step in ensuring their well-being. Working with an expert will also provide you with peace of mind, since the care your family member receives will be administered by trusted, dedicated individuals. Consider Their Needs: Narrow down your options by determining which services your loved one needs. While some may require assistance with medical issues, many elderly individuals could simply use a hand with light housekeeping tasks, personal hygiene, and transportation. Once you’ve assessed your loved one’s needs, begin looking for agencies offering the right type of assistance for them. Inquire About Their License & Insurance: It’s always a good idea to select a licensed and insured in-home caregiver, because these individuals possess all the requirements to perform their line of work legally. Insurance can also help to protect both your loved one’s assets and the caregiver in the unlikely event an accident should happen on the job. Ask for References: Lastly, see if the agency can provide any references from clients in your area. To finalize your decision, you can also check out the agency’s Facebook page to find out more, or set up an appointment to get an in-depth description of what your loved one can expect from their caregiver. When families in the Moncks Corner, SC, area are in need of high-quality senior care for their loved ones, they turn to Aisha’s Divine Setting Home Care. With more than 14 years of elderly care experience, owner and founder Aisha Broughton ensures each senior who uses her agency’s services receives exceptional in-home care. 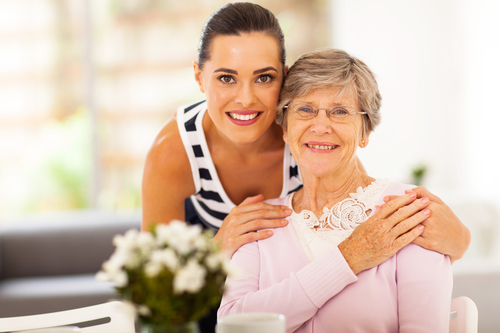 Each of their in-home caregivers is also licensed, insured, and bonded. Learn more about their services by visiting their website or call (855) 277-8885 to set up an appointment.